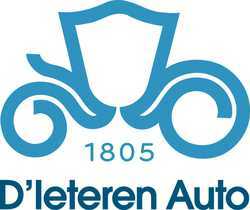 D’Ieteren Auto distributes Volkswagen, Audi, Seat, Skoda, Bentley, Lamborghini, Bugatti, Porsche, and Yamaha vehicles across Belgium. It is the country’s number one car distributor, with a market share of around 22% and more than one million vehicles of the distributed makes on the road. Sales in 2011: 3.2 billion euro.